September 1938. 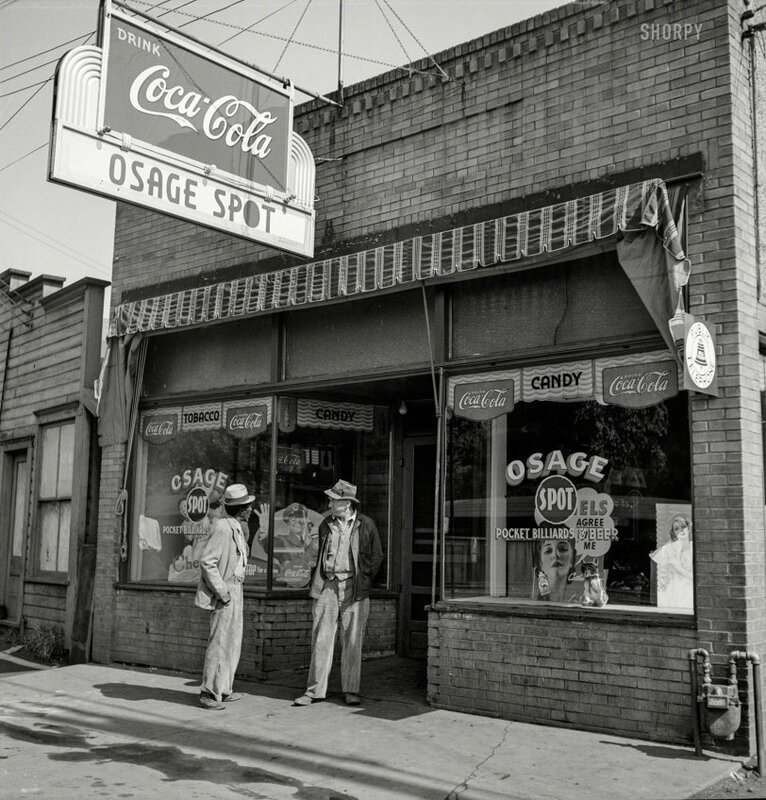 "Storefront in mining town of Osage, West Virginia." Photo by Marion Post Wolcott for the Resettlement Administration. View full size. College and high-school football a century ago, when the helmets were leather and sportsmanship was the name of the game. For maximum impact, use Full-Screen mode at 1080p resolution (click "Play," select 1080p, then click the icon). The latest video from Ken and Shorpilu Studios is "Newsies," about the newsboys who hawked papers on street corners at the turn of the last century, featuring the photography of Lewis Wickes Hine. For maximum impact, view it in Full-Screen mode at 1080p resolution (click "Play," select 1080p, then click the icon). Ken put together this amazing Atlantic City video from stills and vintage movie footage. For maximum impact, view it in Full-Screen mode at 1080p resolution (click "Play," select 1080p, then click the icon, or else the picture will be fuzzy and small). More videos are in the works, and maybe even a DVD or two. Enjoy!